The gridlock in Washington is more than just a political problem. Jeffrey E. Garten on the dollar’s coming decline—and the terrible ripple effects ahead. Most analyses of the president's State-of-the-Union speech Wednesday night have dwelled on its potential impact on his electoral fortunes in 2010 and 2012 in the face of widespread angst in the country and political gridlock in Washington. But among the longer-term consequences of our political meltdown is something that could overshadow the fate of the stimulus, financial reforms, the wars in Iraq and Afghanistan, and the next presidential election itself: the slow but inexorable decline of the U.S. dollar. For over 60 years, the greenback has been the world's key currency, underwriting a good deal of American prosperity and influence in the world. Over the next decade, it will decisively lose its exalted status. A permanently weaker dollar means that military commitments and foreign assistance will become much more expensive in real terms. The dollar will be depreciating for a number of reasons. Foremost is our soaring budget deficit, well over $1 trillion annually; our ballooning national debt, which increased last year by a third to reach $7.6 trillion; and the inability of the political system to deal with the problem, which will only get much worse as 75 million baby boomers become eligible for Social Security and Medicare. On Wednesday night the president talked of freezing some domestic spending, but given how dramatically budget outlays have expanded these past few years, his initiative was at best symbolic. Mr. Obama said he would create a presidential commission to examine policy alternatives, but the recommendations will not bind the Congress. A day before, Congress refused to create a commission with teeth, the Republicans saying it was a stalking horse for higher taxes, the Democrats saying that the commission would aim to cut social programs. The problem with a continuation of this farce, which has been going on in some form for years, is that our debt repayments will eventually be debilitating, causing us later this decade to borrow nearly a trillion dollars a year just to pay interest. We could of course throw ourselves into severe austerity to honor our debts, slashing spending and raising taxes to levels as yet not even being discussed by our politicians. But a politically easier way would be to devalue the dollar—perhaps by allowing more inflation—so we can pay our creditors in currency that is less valuable than it was when the debt contract was made. It is hard to believe there is any other outcome for our gutless political system than to choose the second way out. Another reason why Washington will push the dollar south is that a weaker greenback will stimulate sales abroad by making them cheaper in world markets. In his Wednesday night address, the president pledged to double exports over the next five years, a massively ambitious goal. Unfortunately, the U.S. has little choice but to try, because the big surges in consumer demand are no longer in America but in countries like China, India and Brazil. Beyond what the U.S. will do to depreciate the currency, some of our biggest creditors will also be looking to reduce their holdings of dollars—dumping them on markets and further eroding their value—because they will not want to hold a deteriorating asset. China, the single largest lender, has already been vocal about its concerns, but so has Pimco, America's largest fund specializing in bonds. The problem is that we need these lenders not only to keep up their lending but to vastly expand it. Why does all this matter? A permanently weaker dollar means that military commitments and foreign assistance will become much more expensive in real terms. Everything we import from abroad—from oil, to food, to autos—will have a higher price tag, as foreign suppliers demand more dollars to compensate for its decline vis-a-vis their currencies. Since imports are so woven into the fabric of our economy, that, in turn, could unleash serious inflation. On the other hand, we could see a massive wave of foreign acquisitions in the U.S. as foreign companies, some government owned, will be able to purchase American companies and real estate at bargain basement prices. You can debate all you want about the advantages and disadvantages of a declining dollar. But the question is no longer whether it will happen but rather when, and how. Thus, it pays to prepare. A change from a dollar-centric world to something else could create financial instability everywhere. To prevent that from happening, the U.S. should be working on designing a new rule-based global monetary system, in which the dollar plays a strong role alongside the euro and eventually the Chinese RMB, plus a new currency issued by the International Monetary Fund. Many American companies will do well to expand their operations overseas, where their earnings in foreign currencies can make them stronger and more profitable. Investors will need to diversify their assets internationally to a much greater extent than most have. I'd much prefer to be predicting a strong dollar, one befitting a great nation on the rise. Right now, however, that seems like a hallucination. 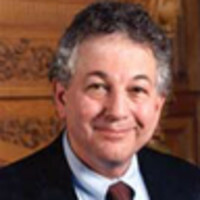 Jeffrey E. Garten is the Juan Trippe professor of international trade and finance at the Yale School of Management.